In this fourth part of my critique of a recently proposed one-way mission to Mars I address whether a kick-start colonization of Mars can be justified on political grounds. My third post disputes whether such a colony is either a safe or a cost-effective way to pursue important scientific goals. You can find the introduction to the series here. establishing a permanent multicultural and multinational human presence on another world would have a major beneficial political and social implications for Earth, and serve as a strong unifying and uplifting theme for all humanity. It is hard to see how they derive confidence in such a claim. Space and space missions are a standard of science fiction when it comes to creating story lines that unite humanity in spite of centuries-old divisions. This unification is often accomplished most efficiently when planet Earth is in imminent danger of being destroyed by an asteroid impact or being conquered by an alien armada. 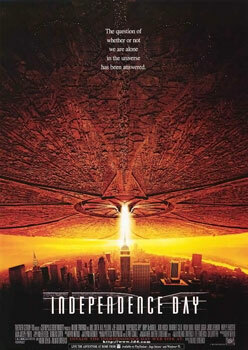 Nowhere is this better exemplified than at the climax of the 1996 movie Independence Day, where the American president, played by Bill Pullman, delivers a speech that rallies his troops for a last-ditch airborne counterattack on an invading force, with identical calls to arms being enacted simultaneously around the globe by people of all races and all creeds and all colors, apparently. I came of age during the the Apollo program and, as a 14-year old, watched enraptured as Neil Armstrong placed his booted foot on lunar soil. 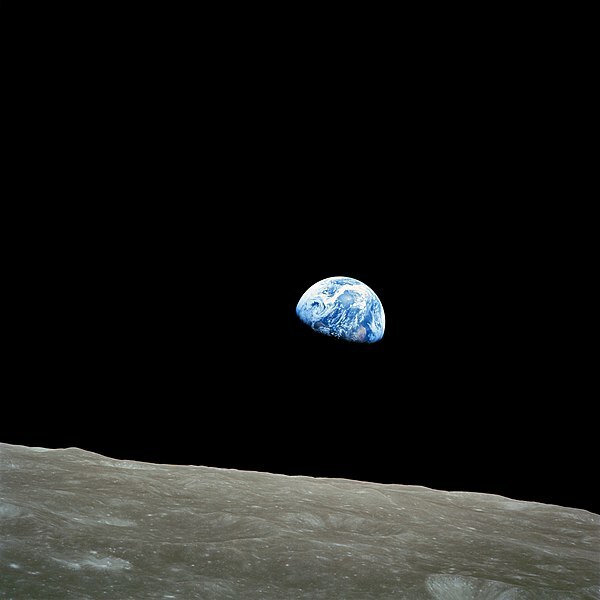 Old enough to appreciate what this meant as a national achievement and as an engineering tour de force, I was also old enough to be aware of the promise that it offered to be a unifying force for "all mankind", one beautifully anticipated in the earthrise Christmas Eve image taken by the astronauts of Apollo 8 less than a year before. Although that day in July 1969 was celebrated the world over, the moon landings themselves failed to have any long-term impact as far as bringing people closer together. The Cold War and its proxy conflicts raged on, indifferent to these wondrous technological achievements. Another example of an unmet promise of political uplift offered by a costly space mission, this one closer to home, is that embodied by the International Space Station (ISS). Touted as a permanent multicultural and multinational human presence in low-earth orbit, it, too, was to provide Earth-bound humans with a transcendent unifying theme. Yet, resplendent, orbiting above the planet at an altitude of 350 km (220 miles), it goes largely unnoticed by the world below. This is not to say that the Space Station has not called into being a remarkable intergovernmental collaboration on an unprecedented scale, but to note that, although an engineering triumph, it has resulted in few if any discernible "major beneficial political and social implications" of the type advertised by the one-way Mars mission proposal. If the tepid public reaction to the ISS is any indication, then it's not clear that such expectations should weigh in favorably in our evaluation of Schulze-Makuch and Davies's scheme to establish a human settlement on Mars post haste. As with other motivations for the proposed expedited colonization of Mars - that it serve as a science outpost and as a lifeboat for humanity - rational analysis demands that we consider how alternative approaches compare as far as promoting a more positive political and social climate here on Earth. In other words, given that a one-way mission would cost hundreds of billions of dollars or more, how might similar - or even significantly smaller sums - be spent to foster feelings of union and brotherhood. her painful Guinea worm wound. Although little can be done directly to bridge the divides of malignant ideologies, religious fanaticism and misguided nationalism that separate us, it has been long understood the alleviation of much of human suffering is within our grasp and that the result of doing so would yield unquestionable major political and social benefits. An example of an immediately attainable objective would be the eradication of endemic diseases such as guinea worm. A more ambitious challenge would be to commit to insure that every person on the planet is provided with adequate daily nutrition as well as access to a reliable source of drinking water. Without a doubt, goals such as these are politically daunting, but they are technically and economically feasible, particularly if countries like the United States expand their vision of international security - and with it the application of their annual one trillion dollars of "defense" spending - to encompass important non-military threats to world order and human well-being. Indeed, mobilizing the nations of the planet to mitigate the damage anticipated as a result of disruptive climate change this century, provides a ready-made unifying goal for humanity, one which we are morally obligated to address and, to the extent that we prevail in our efforts, one which could both unite and ennoble us. Suffice it to say, we don't need to go shopping around for extraterrestrial projects, such as an ill-considered one-way mission to Mars, in order to concoct challenges to inspire and unify us, when working in broad international coalitions against terrestrial scourges, such as disease, hunger, global warming, not only would generate a much greater sense of unity and common purpose, but also would offer desperately needed material advances to billions of people here on Earth. One-Way Mission to Mars - Kumbaya Fail by Marc Merlin is licensed under a Creative Commons Attribution-NonCommercial-NoDerivs 3.0 Unported License. Marc, I finished reading the entire series. It's quite convincing, I think. Yes, it's more important than most people realize to guard against colliding objects that could wreak havoc on our planet. But, like you point out, it's far more feasible to devise ways to divert those objects than it is to colonize other planets. I see it as an exercise in risk versus reward. There is almost zero risk in developing deflection technologies compared to infinite reward (saving some to perhaps all of humanity). Contrast this with colonization (as a means of saving humanity) and its laughably lop-sided. Hopefully sensible heads can prevail, but I suspect more still needs to be done for public understanding about guarding against threats like PHAs (http://neo.jpl.nasa.gov/neo/pha.html). Currently there are 1203 Potentially Hazardous Asteroids identified by NASA. "The bottom line is, NEOs represent one of only a handful of threats that could wipe out humanity. It is not a question of WHETHER we will be hit by an extinction-scale NEO in the future, but merely WHEN this will happen. Only by gaining experience operating at these objects might it be possible to someday prevent one from changing the course of humanity's future. One issue with exploring NEOs with humans is that the U.S. has only operated around the largest NEO, with the robotic mission NEAR. The Japanese have visited another. But most of these objects are still very mysterious to us. We know very little about 1999AO10, potentially our most promising target. This is where our Exploration Precursor Robotic missions come into play. With these missions, we can explore potential candidates, and provide ground truth for our Earth-based telescopic observations of NEOs"
the next intelligent species is going to have to engage in some paleogenetic wizardy to bring us back too." Or, at least they can make a movie about it, assuming they don't become the third species in a row to score high in Self Preservation Fail in the face of impact. Thanks for your comments. I think you hit the nail on the head, all dimensions of the one-way Mars mission proposal fail as far as a cost / benefit analysis goes, a failure that is particularly notable in the "lifeboat for humanity" scenario. NEO deflection is cheap by any comparison and secures the survival of billions of people. Not a bad bargain!